NOW RENTING!!! CALL OR EMAIL FOR RATES AND LONG TERM RENTALS. The Facilis TerraBlock is an industry-leading network shared storage system dedicated to film and video post-production and content creation workflows. The Facilis Shared File System easily accommodates the most complex multi-platform online environments, and enables collaboration among many diverse applications, operating systems and video formats. 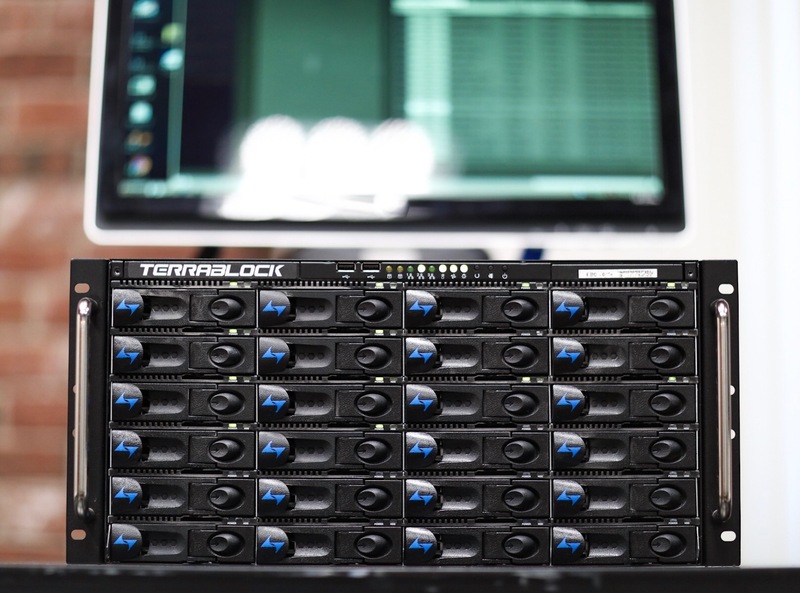 From 4K color grading and conforming to HD digital video craft editorial, TerraBlock provides the performance to get the job done. The system comes with the Facilis Web Console, feature-rich administration and connectivity software that gives you total control over your shared storage environment. Create, change and permission project-based storage volumes, and deploy them to the desktops of individual workstations with the push of a button. Monitor real-time bandwidth usage by workstation and volume, and apply the optimal server and client connections dynamically. Log in securely to manage the workgroup from any browser, on any device that can access the server IP address. Set up user and group look-up with your active directory server for a single point of user account administration, or apply permissions based on desktop user account and/or secure user/password. Also includes Fasttracker, Facilis’ asset tracking system, the fastest way to index, tag, search and access your video, audio and still format media across TerraBlock volumes.. 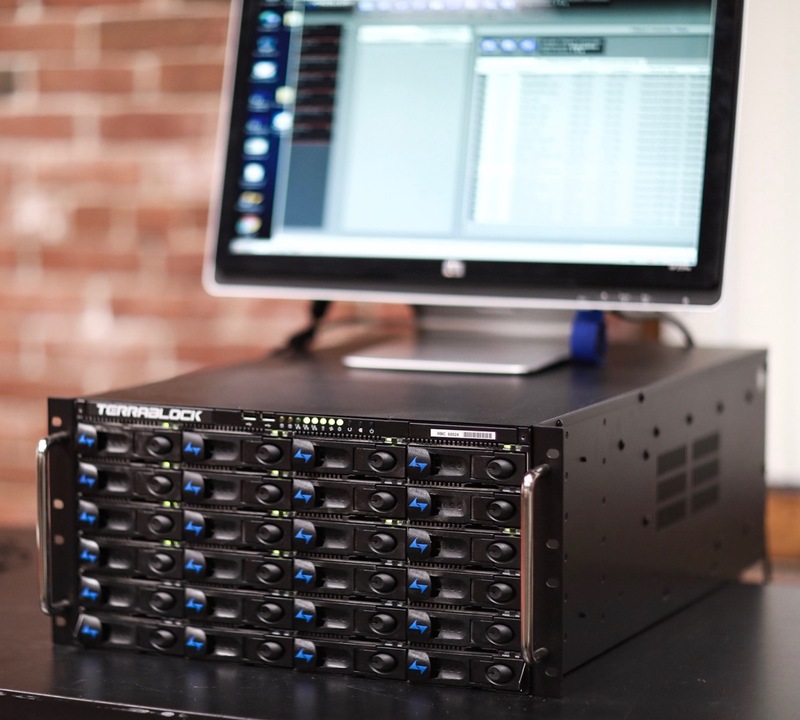 The TerraBlock shared storage system is perfect for smaller workgroups that are built to grow. Editors, colorists, and producers will be much more efficient, with their media and projects so easy to access, share, and find.